I think it is a pretty common feeling. What to do? 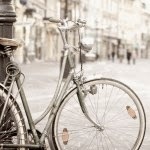 I have been running this blog for two years and I love it. I have my up months, I have my down months, I have a love hate relationship with the whole blogging world. One of my biggest questions is what are my goals? I have some features that work, and some that just seem to take up more time then I am willing to give. I have to make some changes to the blog because I need to focus on some new and beautiful endeavors. I have been dreaming of actually being able to make money selling my line of upcycled childrens clothing. I just need to get the "balls" to do it. To stop procrastinating, set up shop, and sell. I have been in the process of setting up an ETSY shop for about four years. I even had a few things listed, and not that it has been a miserable failure, but I never promoted anything, and hence never sold anything. You know you kind of have to promote things to sell them. (It's really the truth). So what is going to happen. Well I will keep on blogging, focus more on tutorials, actually getting an ETSY site up and running, and living my dreams. I will actually be changing the URL, more on that to come, to reflect my new goals and the new direction everything is going. So look forward to the changes that are coming, and be prepared to bid goodbye to the weekly upcycled awesome. I know you will miss it. If anyone is interested in taking it over, using the name, concept and idea message me or email me and we can talk. So I will have one or two more rounds and then you will just need to stay tuned for what the future holds! 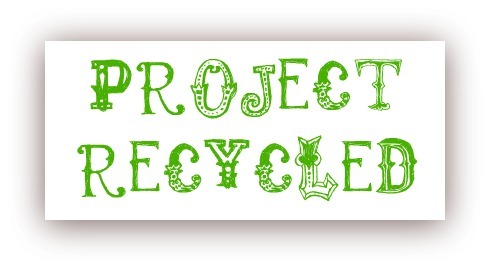 Oh and stay tuned, the first annual Project Recycled is one it's way!